In 1926 the Tampa Theatre was built, and it was designed by the famous theatre architect John Eberson. The building was designed with a Mediterranean feel, complete with old-world statuary, flowers, and gargoyles. Our tour guide (Jill Witeck) told us that the theatre was booming with business for the next few decades, with more than 90 million Americans going to the movies every week. During the 1960s, some of the other theatres in Tampa started going out of business, and in 1973 it looked like the Tampa Theatre would close as well, but the Tampa citizens took it upon themselves to save the theatre. The city of Tampa ended up purchasing the theatre, and it reopened in 1977. In 1978 it was named to the National Register of Historic Places. The theatre is a Tampa City Landmark and a member of the League of Historic American Theatres and the Art House Convergence. I was really intrigued to learn that each theatre that was opened at that time was owned by a specific film-producing company. If you wanted to see a movie by Paramount, there was a specific theatre that played just films produced by Paramount, etc. Now, the theatre is managed by the not-for-profit Tampa Theatre Foundation., and is kept thriving by 60- percent of an annual operating budget through tickets and concessions, and the rest is made up of donations. The Tampa Theatre offers Balcony-To-Backstage tours once a month Tuesdays and Saturdays at 11:30 a.m. The 90 minute tour starts in the lobby and will end with a demonstration of the Mighty Wurlitzer Theatre Organ. 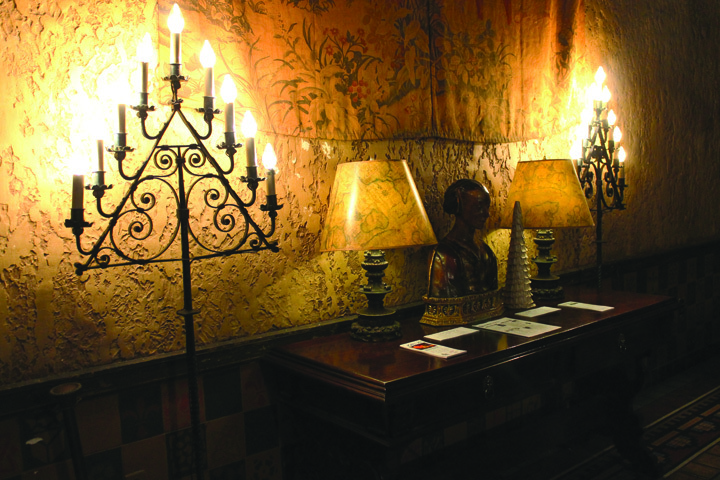 In between, the tour guide will divulge theatre secrets and entertain guests with stories of the theatres past. The tour costs $7.50 for adults and $5 for children ages 2-12 and is free for Tampa Theatre Members. I loved learning about where the concession stand used to be, where the organ actually is in the theatre, and the history behind the organ including the fact that it is still the original organ that has been there since the theatre opened. 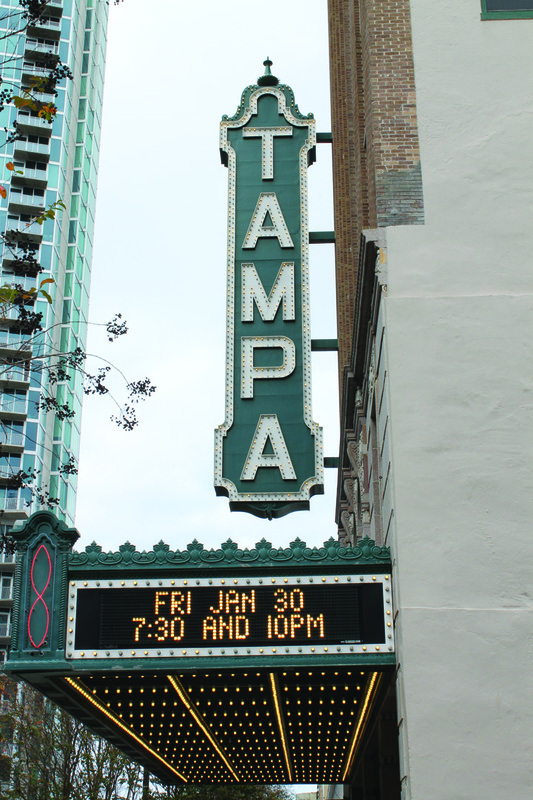 The Tampa Theatre offers a range of movies, including current films, classics series films, silent films and sing-a-long shows. They are currently screening the Blockbuster movie The Imitation Game, and at the end of the month they will have a showing of The Breakfast Club on Sunday, February 22 at 3 p.m. as part of its Totally 80’s movie series. Guests who enjoy going to the Tampa Theatre frequently can opt to join the membership program, starting at $50, to enjoy discounts and treats. The theatre is always looking for more volunteers, commonly known as “The Gargoyles” and those interested can visit their Website to read the Gargoyle Guide to learn more about volunteering and how to register. Volunteers will do things like serve as ushers at concerts and special events, help in the business office, represent the theatre at events and assist with tours. They also have a small enough stage, which used to be an orchestra pit, to sometimes host small comedy shows and events. They are also hosting an Oscar viewing party on Saturday, February 22 at 6:30 p.m. complete with red carpet, paparazzi, appetizers and a live viewing of the awards ceremony. This place is a must visit for anyone who likes film, history and culture. The atmosphere reminds you of something you would see at Disney since you feel like you are transported back in time to another place. It is one of the most beautiful places I have been to in Tampa. The Tampa Theatre is located at 711 North Franklin St. For more information, movie times and ticket prices, visit tampatheatre.org.